Finally, after a number of months - initial negotiations, a change of ownership and thinking that I missed an opportunity, a second chance and more negotiation she has finally arrived and I could not be happier. Meet Duchess - a 16.3hh Old/Trak CSH mare by Deutschmeister 6 months in foal with a Viva Voltaire grandchild. I could not be more thrilled and excited for the mare and foal to come. So pleased at how well she trailered and settled into her paddock. What a good girl. And without further ado here she is on arrival and also in the arena for the first time. Duchess is due to foal a Vantage foal in July, 2016. July 28, 2016 - Welcome to the world little one. At 2:15 am on July 28, 2016 Duchess foaled Prospect's Vienna. A bay filly with a small white star(I think) and two back white socks (same as Amelia). Delivery was stand up because we had to move Duchess as she was delivering against the wall. By 3:00 am baby is walking and nursing. 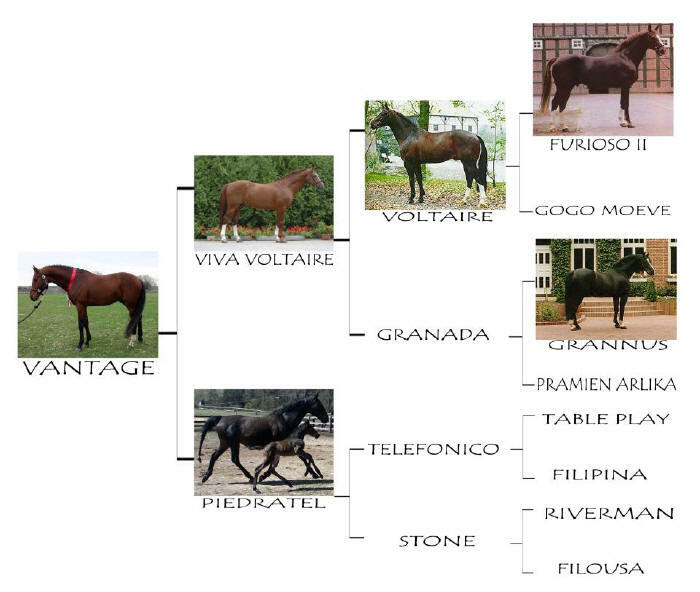 Prospect's Vienna - by Vantage (Viva Voltaire) out of Duchess (Deutschmeister). A beautiful Bay filly.